The Okinawa tourist board had saved something special for the last part of our press trip – and we had been looking forward to it all week. 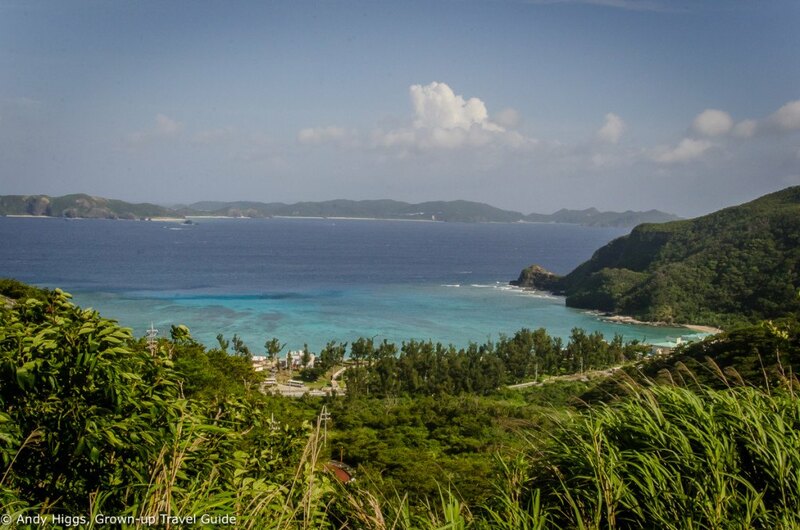 We were to visit Tokashiki Island, one of the Kerama Islands known as a paradise for divers and beach-lovers. We’d heard stories of translucent seas brimming with exotic fish and seen pictures of white sandy beaches and a distinct lack of crowds. 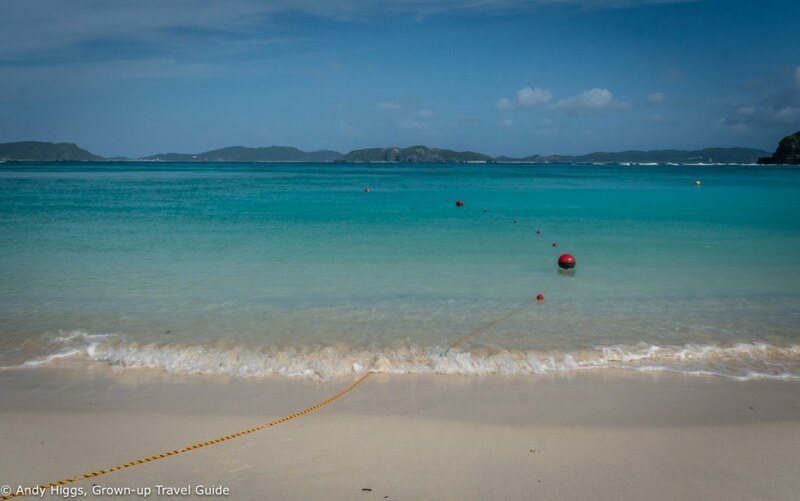 Truth be told, the islands are probably the best reason to visit Okinawa – many are so remote that they can only be reached by plane but this only adds to their appeal. Apparently a lot of mainland Japanese come out here and end up staying for good, swapping life as a salaryman in Tokyo for one as a beach bum. Or something like that, at least; a simpler life, for sure. 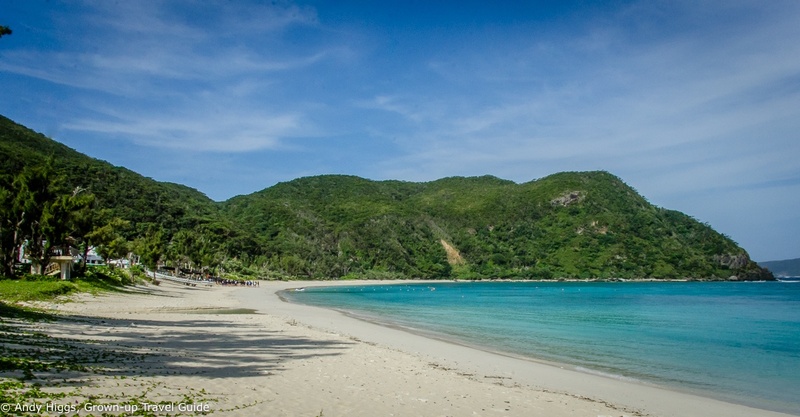 We would only be getting the briefest taste of island life, however, as we had just one night on the most accessible one. Still, we weren’t complaining – it would be a good introduction. After breakfast at the Hotel Alivila we met in the lobby with our bags and boarded the minibus for the drive back to the capital. 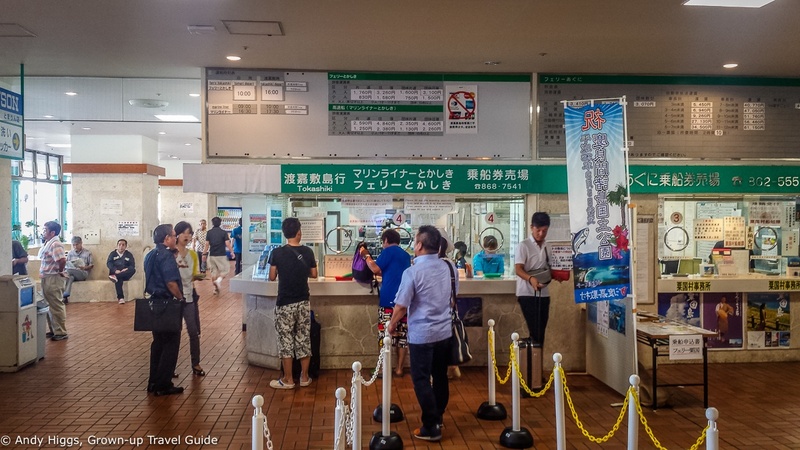 It took about an hour to reach the ferry terminal where Seiko went to organise our tickets. 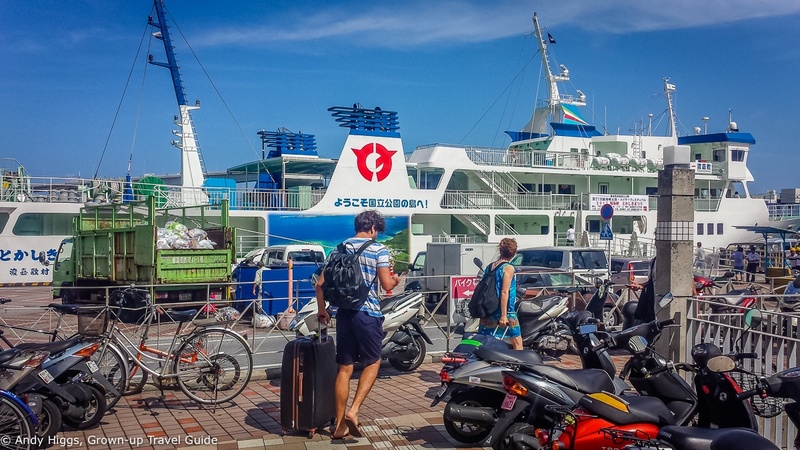 There are two types of ferry – regular and express; of course you pay a premium for the faster service but it often comes down to timing – there wasn’t an express ferry when we were due to depart. So we were booked on the 1000 crossing which was scheduled to take around 70 minutes (the express boat takes half the time). We only had about ten minutes to wait before boarding was announced and we made our way to the ship. 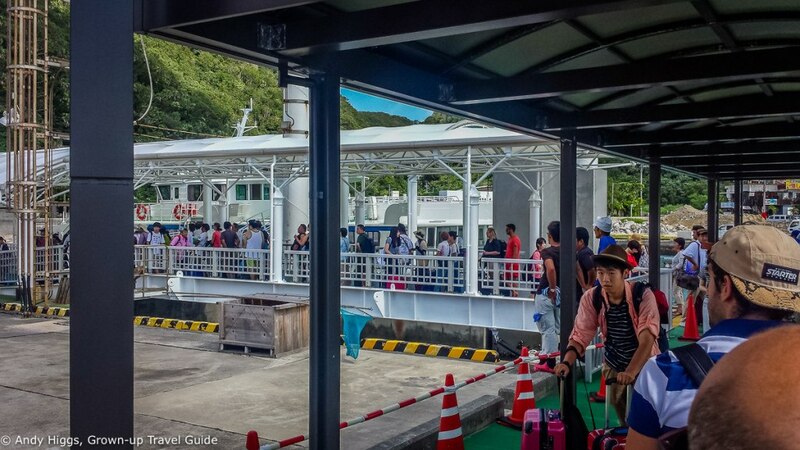 As you can see it’s a large vessel which takes cars as well as foot passengers. It’s a very popular service, too – there weren’t many empty seats left. The ferry left on time and we soon left the harbour and were out on the open seas heading due west for Tokashiki, passing the airport on the way. What these pictures fail to convey is that the crossing was actually quite rough – I don’t usually get seasick but I was feeling a little uncomfortable the whole way. It was worse for Pierre, though – he brought up his entire breakfast and more besides. Each seat has a sick bag so this is presumably a regular occurrence – I think it’s safe to say we were all glad when we finally docked at the island port. Arrival was certainly a spectacular – the harbour is surrounded by steep hills covered in forest – or rather mountains covered in jungle. We climbed aboard a public bus which would take us to our hotel for the night at a beach village about thirty minutes away. Otherwise Tokashiki is mostly jungle – a few houses dot the landscape but most people live in the few towns on the coast. We arrived in Aharen and stopped outside the Sea Friend Hotel – basic but comfortable accommodation close to the beach. 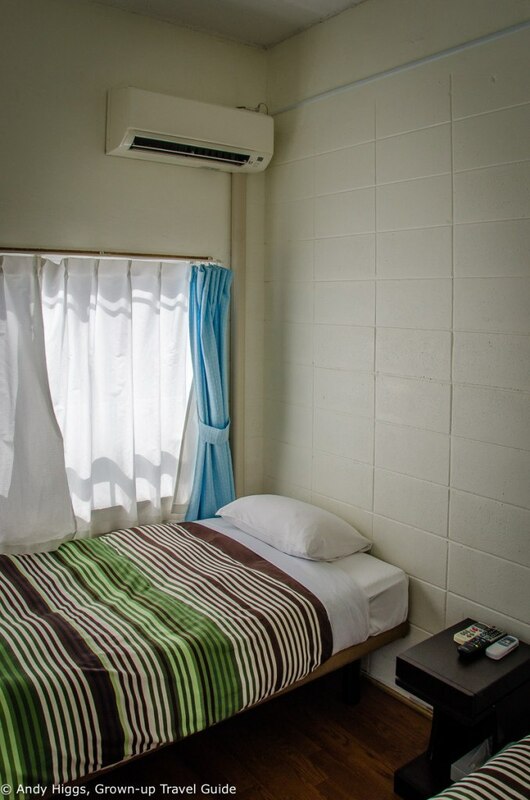 Extremely popular with divers (they rent gear and offer lessons for both scuba experts and newbie snorkellers), Sea Friend has several different types of rooms. The main building (where we stayed) is a standard hotel with 14 rooms, a wooden building next door is run as a pension and a third is styled as a guest house. 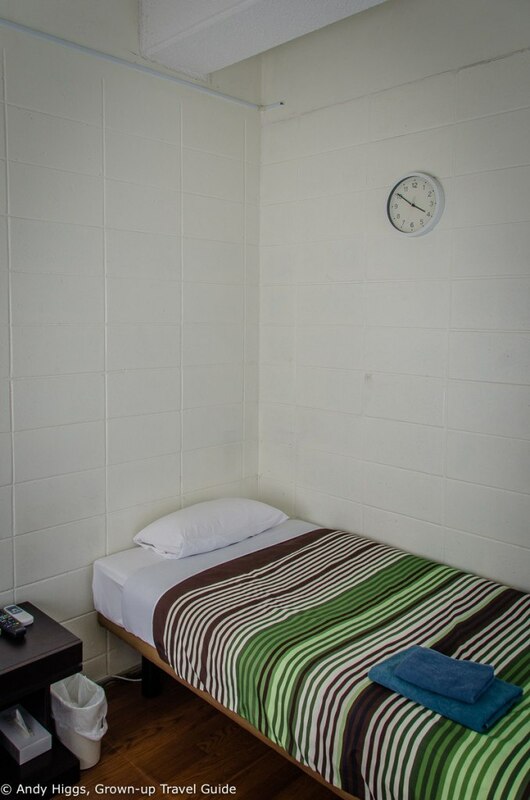 I was given the key to room 204 which was a twin and while basic, had everything I needed (and some things I didn’t, like a hairdryer) and was spotlessly clean. The single bed was comfortable and the room was light and airy. Air conditioning is pretty much mandatory in Okinawa hotels and Sea Friend is no exception. What I liked even more was the fact that there was also a ceiling fan. 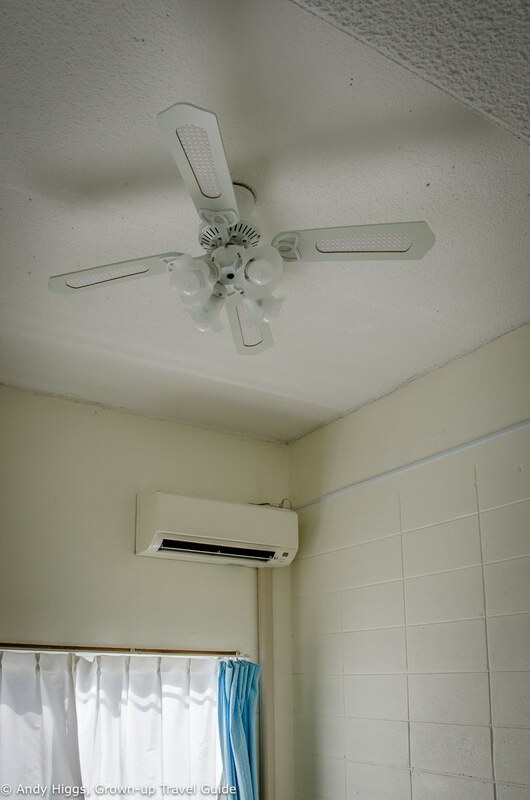 Given the choice I will always cool off under a fan instead of using AC so I was very pleased with this option. 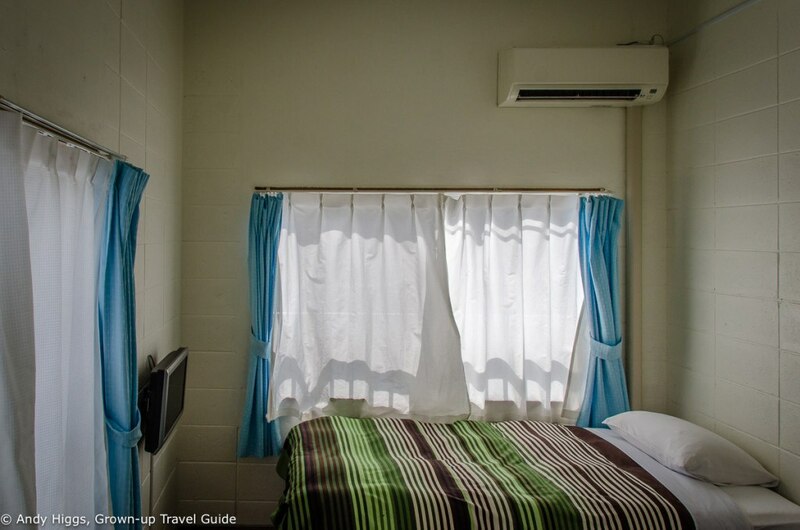 The room was very compact but as I was there alone I had plenty of space – it would have been more of a squeeze for two people and there isn’t much storage space. Good to have a fridge, though. 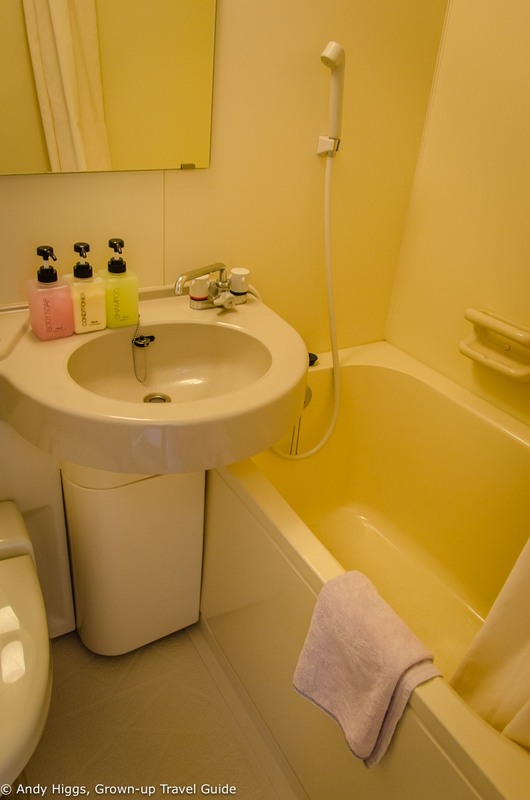 The bathroom was also small but well designed. 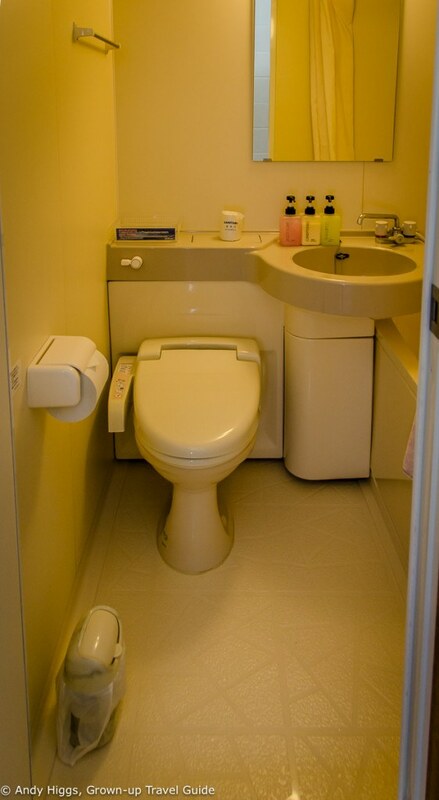 I realised that it was in fact a self-contained unit that just slots into place; a clever and very Japanese concept that I also saw used in Osaka and is clearly very common in budget hotels. 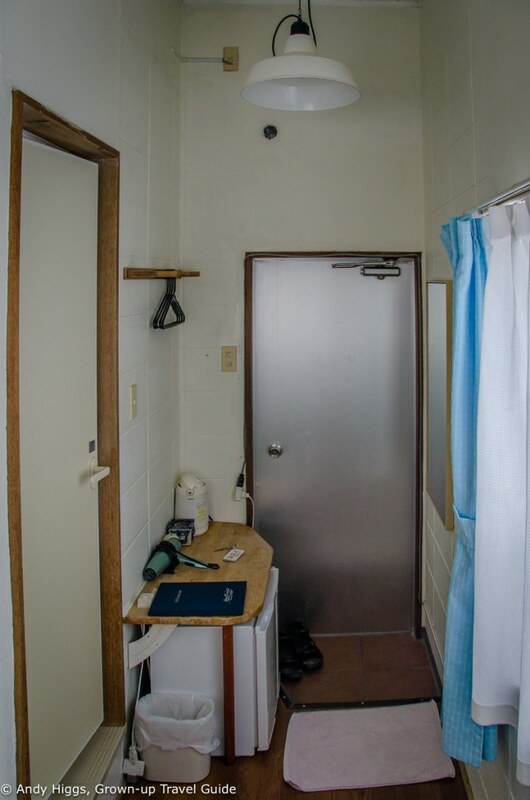 Good to have a bathtub and a shower, note the way the same tap is used for everything. Neat, huh? We had lunch at the Sea Friend restaurant just round the corner – choosing curried chicken and rice for a change, which was very good. Next it was time to change and make our way back to the scuba diving centre found in the same building as the restaurant. We had a snorkelling appointment and were soon collecting our equipment. Safety concerns mean that even snorkellers must wear life jackets and I followed the rest of the Japanese in wearing a rash guard top to protect against the sun. After being driven to the port in the back of a truck we boarded a boat that would take us out to the dive spot. It was a smooth half-hour ride before we dropped anchor near one of the uninhabited islands off the coast and jumped into the crystal clear water. As promised, there were exotic fish aplenty, happily swimming amongst colourful coral. After an hour happily splashing around in the warm seas we returned to land and had an hour of free time on the beach near the hotel. Again, there is more of this on the video so I’ll move on here. We were dropped off back at the Sea Friend and had just about time to shower and change before dinner. No complaints here, either – very tasty and a nice laid-back atmosphere too. After a couple of beers I was ready to call it a day and did so – sleeping like a log back in room 204. 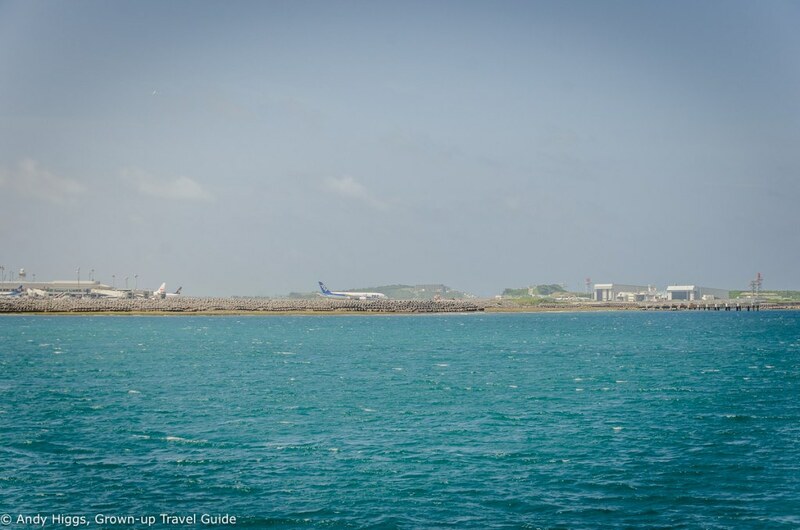 The next day – our last in Okinawa – started with breakfast and a culinary challenge. The Japanese are always interested in a foreigner’s view of their cuisine – and you can bet that the subject of Natto will be raised before long. 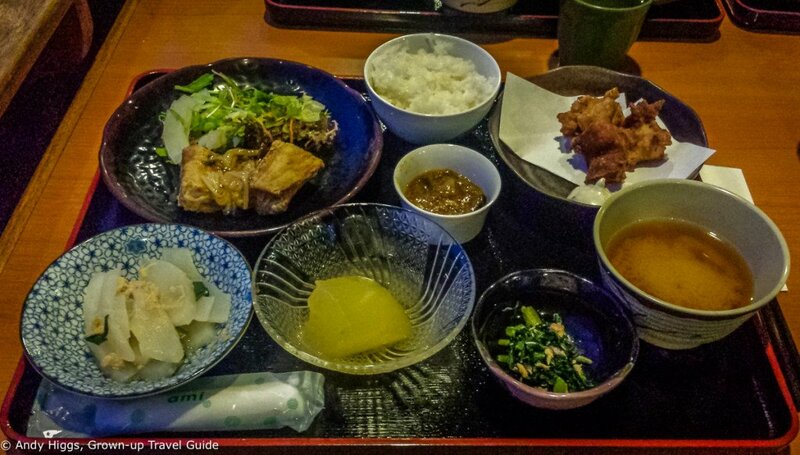 This is in many ways the ultimate test that every visitor needs to try – it seems that nothing fascinates the Japanese more than watching foreigners struggle to eat it. Just be prepared for the fact that if you reply that you haven’t yet tried it your inquisitor is likely to rush out an buy some for you. Now add the raw egg which is supposed to be mixed in – and in my opinion is essential in order to get a grip on the stuff with chopsticks – and you have a lovely breakfast treat for the uninitiated. I decided I had to give it a go; after all it is supposed to cure just about everything. With some tips from Seiko – for example add Japanese mustard for better taste – I went for it. You’ll probably be disappointed to hear that I didn’t projectile vomit across the breakfast table but actually thought it was quite palatable. In time, I could probably even get to like it. The heat was just beginning to rise and boy, did we wish we could stay longer. But that’s the way it goes with these press trips – a little of everything rather than enough of something. Better than nothing, obviously – and it really made me want to come back, which I guess is the point. What a fabulous place to unwind – Okinawa is an ideal add-on to a week of the major urban sites in Japan such as Tokyo or Osaka. Time was, as always, against us so we piled back into the minibus and headed for the harbour where the express ferry was waiting. 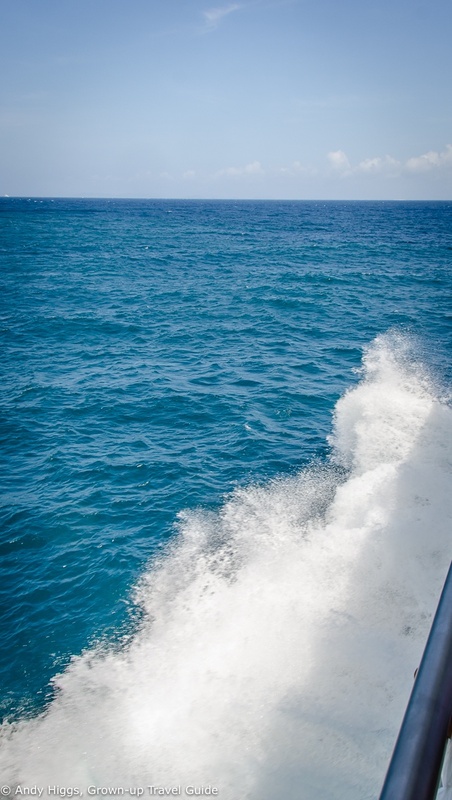 The seas were much calmer and the journey passed without incident – and very quickly. Our driver was waiting to take us straight to the airport, where my flight was the first out. 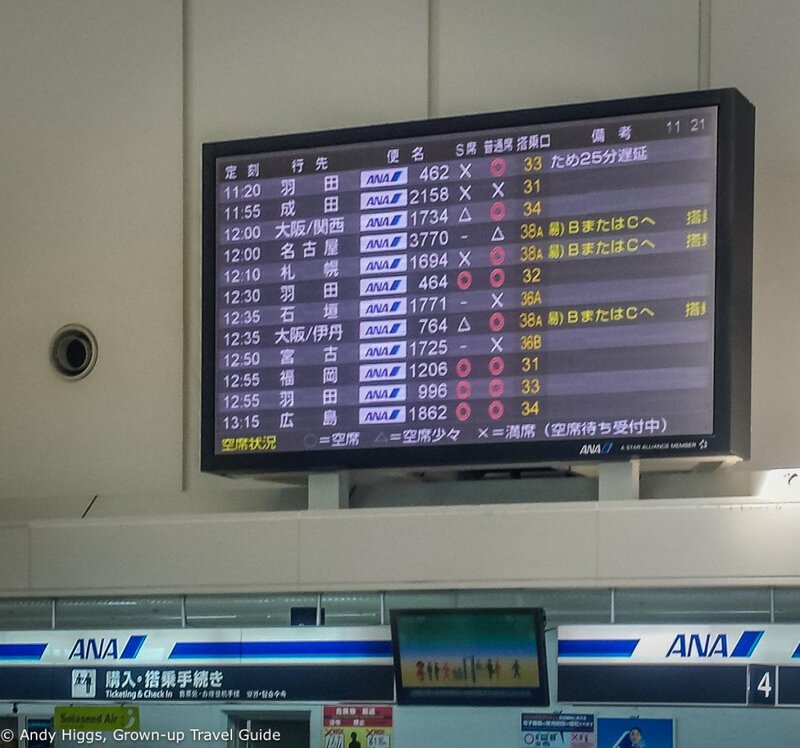 That’s my flight up there – ANA 1734 – not that I would have known without the number. We said our goodbyes and I went through security bound for Osaka. I had one night there – which I’ll tell you all about soon – before my KLM flight home. So, Okinawa – what can I say? I absolutely loved my time here and cannot wait to return. 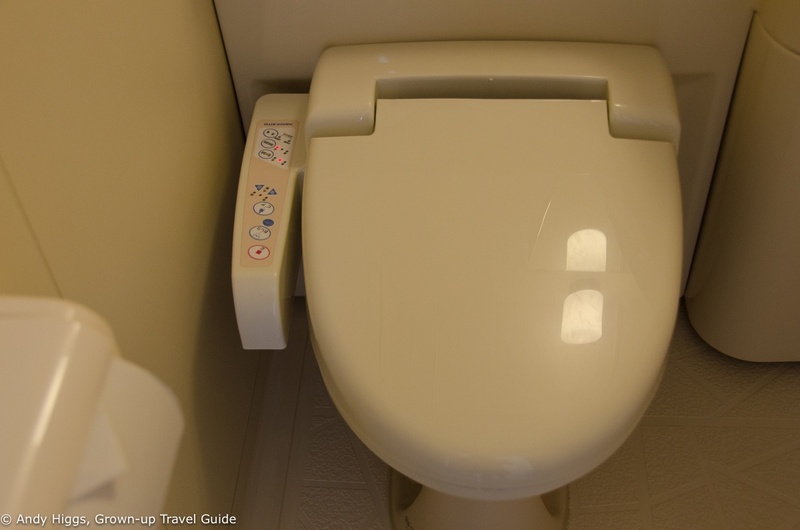 It’s a fabulous introduction to Japanese culture although it has its own unique history and culture – and for most visitors it would usually be an addition to time spent on the Japanese mainland. 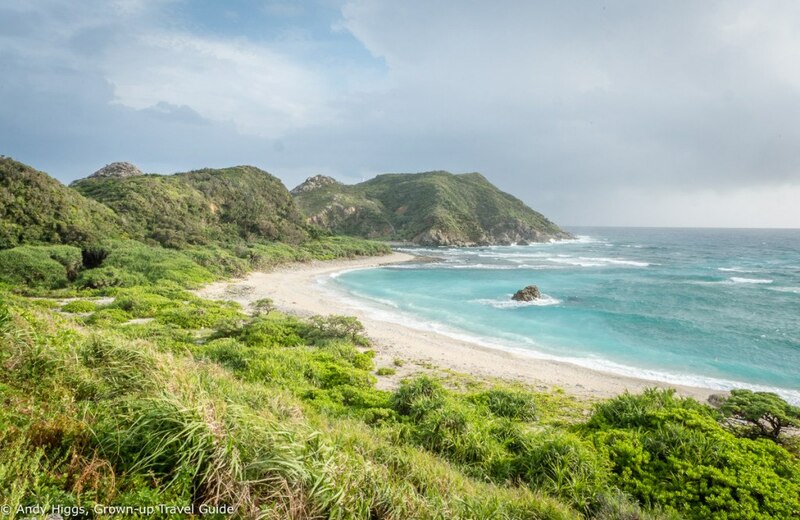 Yet there is more than enough to see, do and above all eat here to justify spending an entire holiday in Okinawa; something a growing number of visitors are beginning to realise. 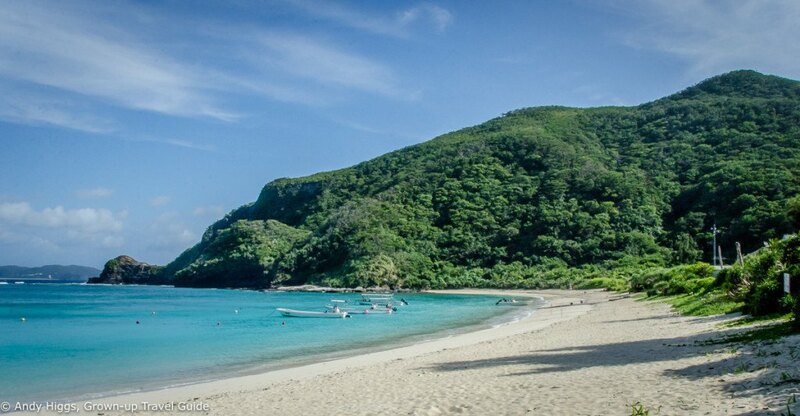 For a truly exotic holiday, I don’t think you can beat this island paradise – you should seriously consider adding it to your bucket list. Sounds like you had a great trip! 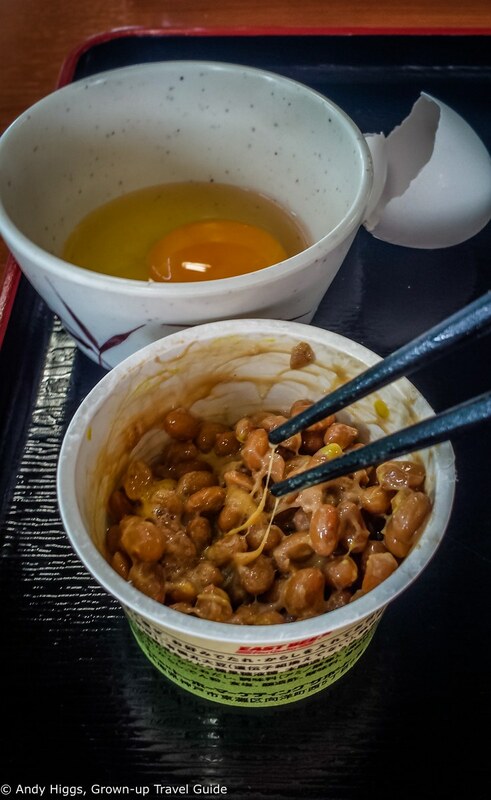 I actually really like Natto, but I always have it mixed with grated Daikon. This cancels out the stringy, gooy, icki-ness of the natto and makes it quite refreshing too. Give it a try! I always mix it up in the little pot then have it on rice. 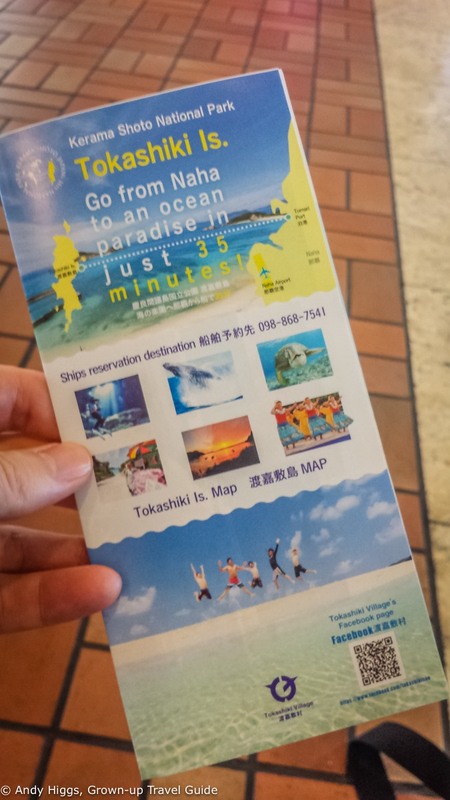 I will definitely remember that tip for my next trip to Japan – thanks!